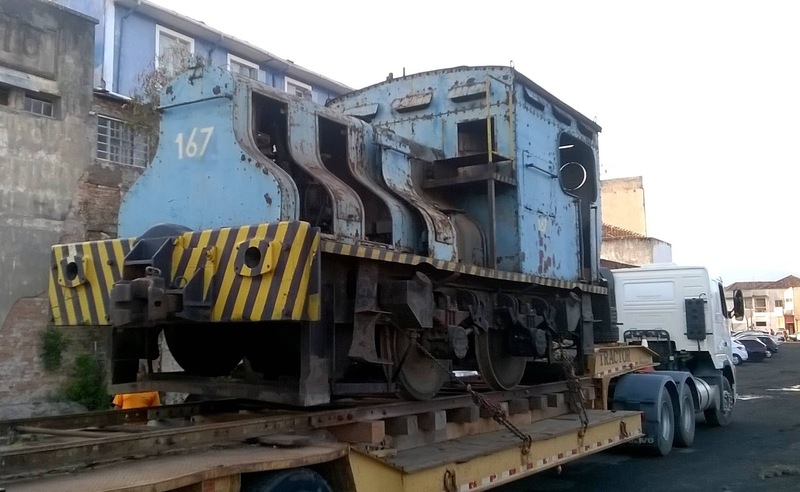 After the retirement of the two 7109-like Sentinel locos in Brazil in October 2014, they have now been moved from the Amsted-Maxion Steelworks, Cruzeiro, to a location for safe storage and, hopefully, restoration with future use. The new home is at the ABPF - Regional Sul de Minas (Brazilian Association of Railroad Preservation). (For those whose language skills are as apologetic as mine, google can translate pretty well! ).